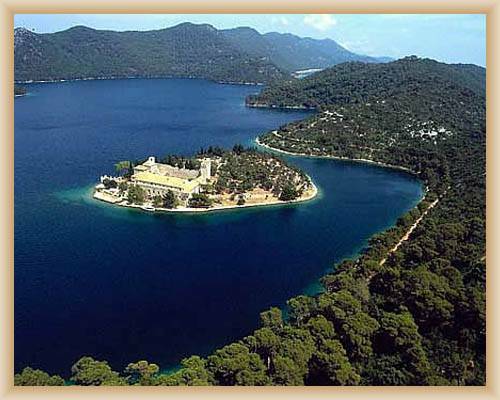 Mljet is a part of group of islands in south Dalmaci and Mljet is eight biggest island in Adriatic sea. 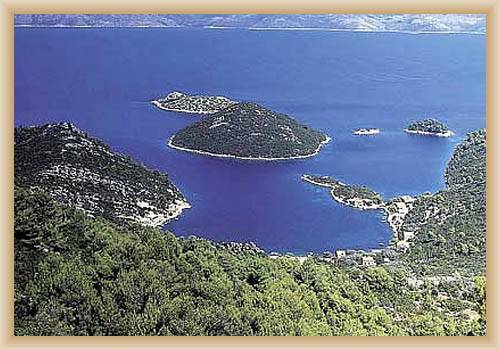 The most high point of island is Veliki Grad (513). 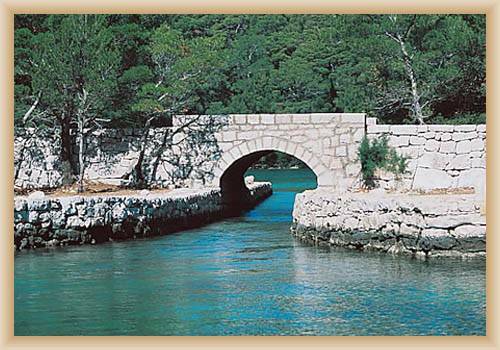 Because Mljet has a warm summers and light winters cover island various vegetation. 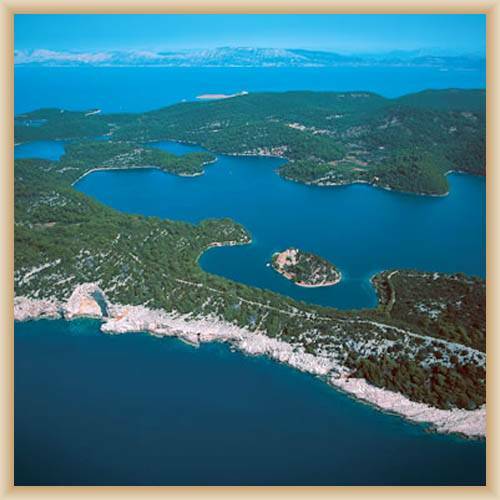 72% of island is covered by wood, which made from island one of the most forested island at Adriatic sea. The coast is broken especially at north. Pomena, Polaca, Tatinica, Sobra, Prozura, Okuklje and Saplunara are biggest bays. 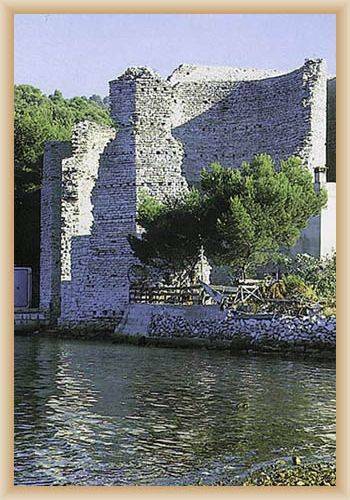 Adriatic sea lion lives at coast. 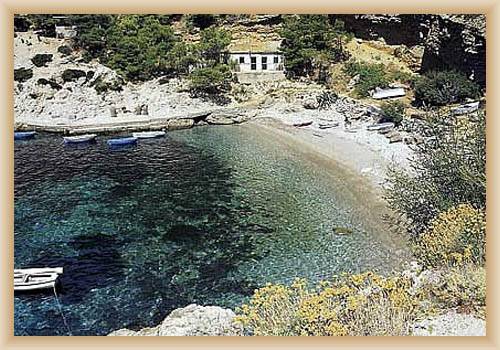 Near the northwest and southeast coast are located some unoccupied island and cliffs. The main settlement leis at fertile plateau in inland. 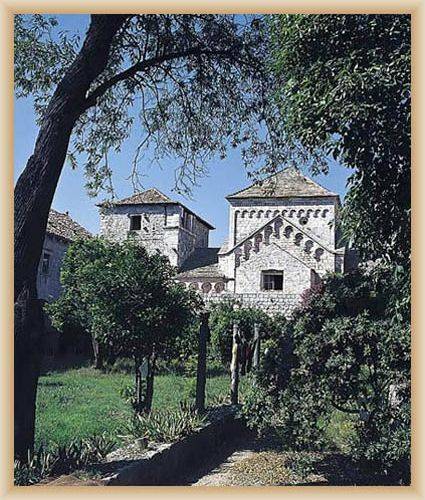 The biggest one is Babino polje. 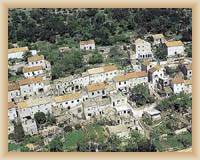 The chief occupations are farming; grow vineyard, olive trees and herbs, fishing and tourism. 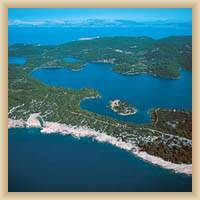 Islands at coast, which worked as a harbor in the past, developed to be tourist centers. All bigger villages are connecting via bus. Island Mljet was established in bygone days. 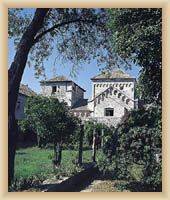 In year BC became to dominance of Romans, in 10th century of Neretljan, in 11th century became to be part of princedom Zahumlje. 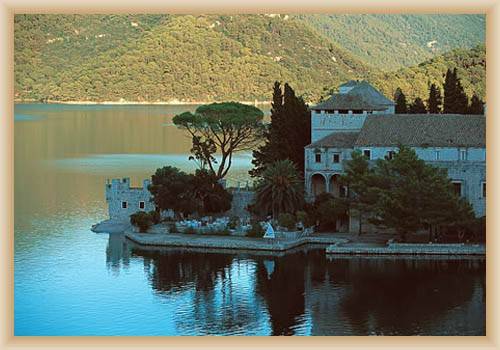 Mljet was send on as a present to benedict monastic order from Italy town Pulsano (Monte Gargano) between years 1345 and 1818 was under the control of Dubrovnik.